From Bethany Jesus sent Peter and John ahead to the Upper Room in Jerusalem to make the preparations for the Passover Feast. Jesus washed the feet of His disciples as they prepared to share in the Passover. By performing this humble act of service, Jesus demonstrated by example how they were to love one another. As the Lamb of God, Jesus was about to fulfill the meaning of the Passover by giving His body to be broken and His blood to be shed in sacrifice, freeing us from sin and death. 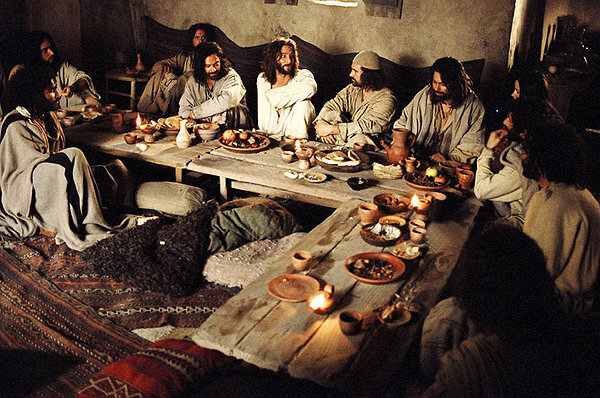 During this Last Supper, Jesus established the Lord’s Supper, or Communion, instructing His followers to continually remember His sacrifice by sharing in the elements of bread and wine. Late that evening in Gethsemane, Jesus was betrayed with a kiss by Judas Iscariot and arrested by the Sanhedrin. Jesus was taken to the home of Caiaphas, the High Priest, where the whole council had gathered to begin making their case against Jesus. Peter denied knowing his Master three times before the rooster crowed. A very busy 5th Day of the Holy Week. From the eating of the Passover Meal, to the Washing the Feet of the Apostles, to the betrayal of Judas Iscariot leading His accusers to the Garden of Gethsemane in the arrest and illegal trial against Him by the Religious Leaders, and ultimately having Peter deny knowing Jesus, leads us to the one painful place where all the wrongs would be made right, by the sacrifice of God’s only Son. I’m sure everyone of us has a part in all that happened on that Thursday, each one with an emphasis on something that hit us personal. And that is what this would be all about. God the Father gave His Son to a fallen man to make a personal plea to accept His offer of forgiveness of sins and eternal life by His Son Jesus. Up to this point, Jesus made it very personal. HE initiated the gathering for the Passover Meal. HE washed the feet of the Apostles, setting an example of how we can make our ministry personal by caring individually for our brethren, expressing the same nature of His love for us. 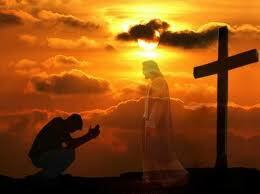 HE made it personal by going to the Garden and praying, for Himself, for His followers, for each one of us. For me, so far in the Holy Week in 2013, it has been that Marty take it personal; all that Jesus instructed, and set as example of. Let others hear and see a living human that cares enough not just to mention the Name of Jesus; not just neighbors would know how we did our duty in going to church etc. on this coming Sunday, but that we make it personal. I believe if we are real and accessible to people around us, and WE are the ones initiating activity to lead others directly to Jesus, we are getting personal, and up close enough that Jesus would be seen not just talked about this year.